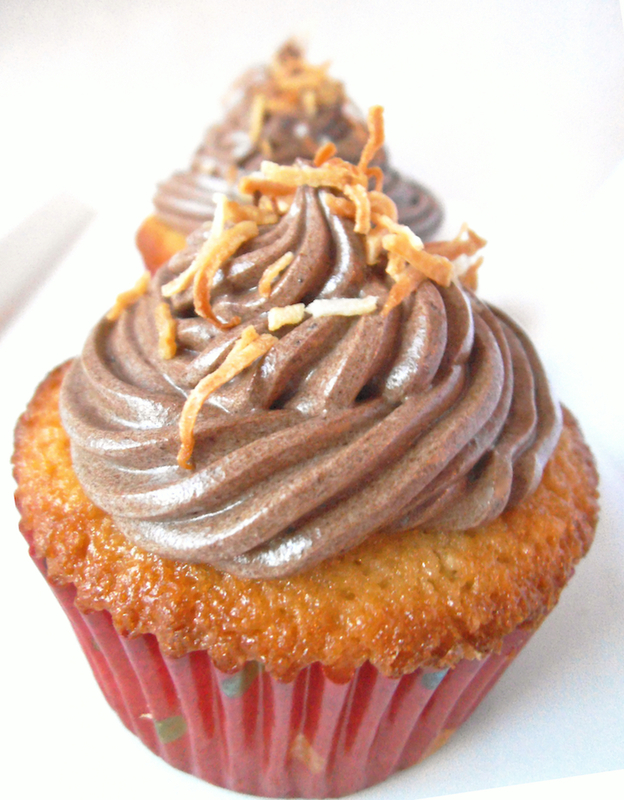 Tender coconut cupcakes topped with fluffy chocolate peanut butter frosting are the home-baked version of candy aisle bliss. However, unlike candy, these treats have a hidden healthy twist! Making delicious cupcakes from scratch is even more worthwhile knowing that they contain wholesome ingredients without sacrificing great taste. Why add lentils? They are rich in fiber and minerals like iron, in addition to being a very frugal whole food ingredient. For me they are a locally grown product, with most of the lentils in Canada being grown in Saskatchewan, where I now live. Interestingly, the lentil flavour disappears into the frosting, while their fiber and protein help stabilize the texture. Thanks to the smoothing power of a food processor or high-speed blender, the lentils blend beautifully into the silky chocolate buttercream. To maximize efficiency, I like to start mixing and baking the cupcakes while the lentils are simmering. I was amazed at how all the ingredients came together so quickly to yield a lovely buttercream frosting. You really have to try it to believe it! If you’d like to see more amazing lentil recipes, head to the 2015 Lentil Recipe Revelations Challenge board on Pinterest. Preheat oven to 180 C (350 degrees F). Cream together butter and sugar. Using an electric mixer, beat in vanilla extract and egg until smooth. Whisk together flour, baking powder, and coconut in a separate bowl. Combine wet and dry mixtures with an electric mixer for about 1 minute. Add milk and beat again for another minute, until a creamy batter forms. Spoon batter into cupcake liners in a muffin tin. Bake for 15 to 18 minutes, until tops are light golden and middle tests done. Place cupcakes on a wire rack to cool completely before adding frosting. To make the frosting, purée lentils, sugar, vanilla, and cocoa powder in food processor until very smooth. Heat chocolate chips in microwave for 30 second increments, stirring frequently, just until the chocolate has melted. Stir in peanut butter and transfer the warm chocolate to the food processor. Puree with lentil mixture until smooth. Add to the chocolate lentil mixture in the food processor and blend until very smooth. Transfer frosting to a bowl and let cool to room temperature. 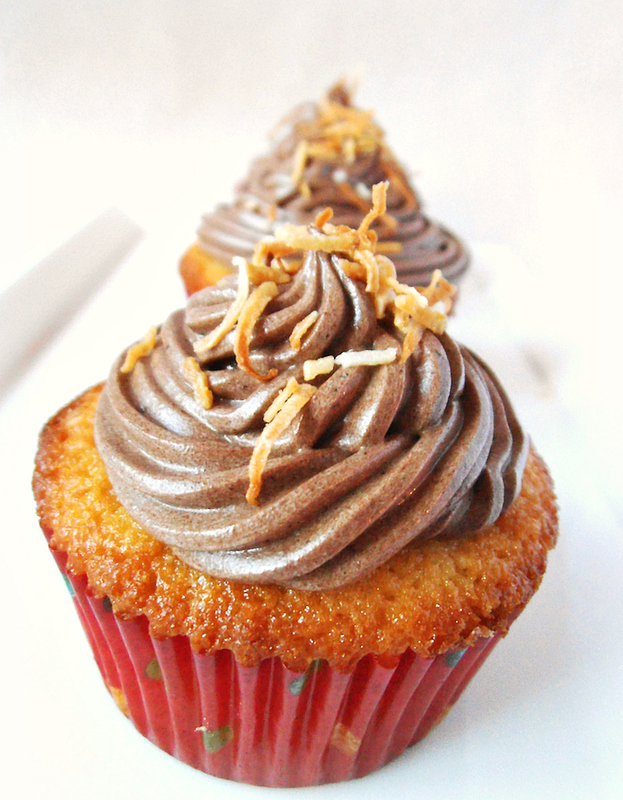 Add butter to the frosting and beat with an electric mixer until a lighter, fluffier texture is achieved. Transfer frosting to a pastry bag fitted with a decorative tip (or spread generously with a flexible spatula). Decorate cupcakes with frosting. Sprinkle with toasted coconut or decorative sprinkles if desired. 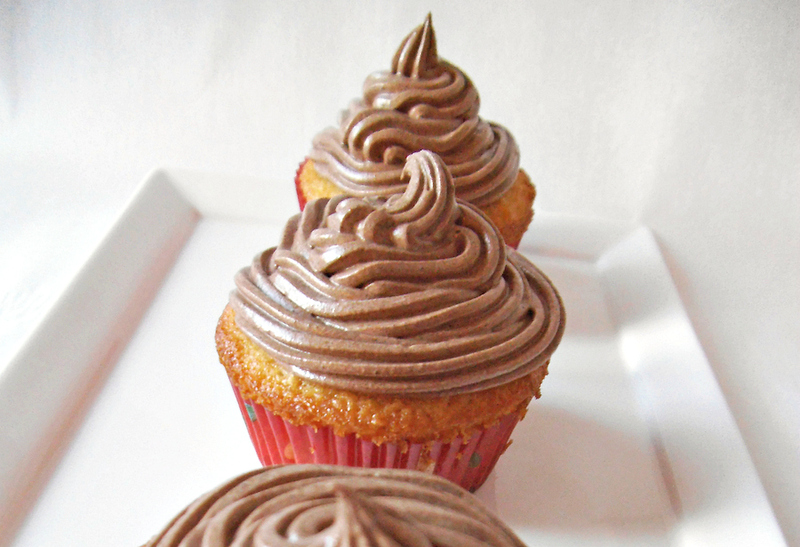 Serve immediately or refrigerate cupcakes until serving time. I’ve been looking for a way to make buttercream without a ton of powdered sugar! Thanks for this, I’m excited to try it! Yay! I love to hear that someone appreciates a recipe enough to try it! Enjoy! Beautiful cupcakes! I love the chocolate and coconut combo and would never guess they had lentils! So creative! Wow those look fantastic. Who would have ever thought to make cupcakes with lentils?! Thanks for sharing on Merry Monday. Yum! Planning to try this over the weekend. Just a couple of questions. How many cupcakes will this recipe yield? And can I substitute unsweetened coconut with freshly grated coconut? Hi! This yields about 12 cupcakes. I think freshly grated coconut would be wonderful! Maybe reduce the milk by 1 tablespoon or so in that case. Thanks, Laura. The lentils help the frosting keep its shape and blend in with the other flavours nicely.